Across aircraft, land vehicles, and portable equipment, weight reduction is a key concern for the defence sector. Thanks to developments in surface technologies, strong and easily machined magnesium alloy now holds much promise as a lightweight alternative to heavier metals such as aluminium. Magnesium has the lowest density of all structural alloys, making it 33% lighter than aluminium and 75% lighter than steel. Despite the lower density, magnesium alloys are both stiffer and stronger weight-for-weight than aluminium. A high vibration damping capacity makes magnesium ideal for many high-speed applications on reciprocating machinery. It is also 100% recyclable with a lower cost of production than many other metal alloys. The magnesium bodies and chassis structures of modern ruggedised computers are durable enough to withstand extreme conditions of temperature, dust, and water. This material technology has since been used in many popular consumer electronic devices, such as notebooks, tablets, phones and cameras. The light weight of magnesium means defence systems for night vision and target acquisition can be weapons-mounted, improving functionality while maintaining the balance and feel of the weapon itself. French defence company Safran make long and medium range binocular systems with light-weight magnesium to ensure that a large number of features can be crammed-in, including a third generation infrared channel (3-5µm), an eye-safe laser rangefinder, a magnetic compass, a laser pointer, a colour video channel, and a GPS. Magnesium is also considered for armour plating. According to intensive ARL (US Army Research Laboratory) studies over the past few years, coated magnesium plate now performs as well as aluminium alloys in ballistic trials. REL Inc’s magnesium-encapsulated squeeze cast ceramic panel for the ramp door of the US Stryker warfighting vehicle uses coated magnesium: it is lightweight and can survive multi-hits. Corrosion was the greatest enemy of magnesium, a chemically active metal. Fortunately, the rapidly developing surface engineering sector has found exciting ways to prevent this. 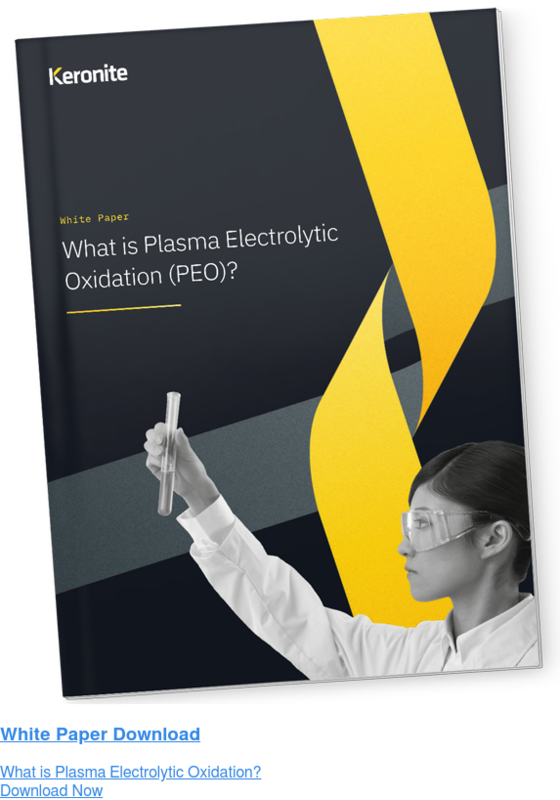 In particular, plasma electrolytic oxidation (PEO) imparts a highly scratch and corrosion-resistant ceramic coating to light metal alloys, such as magnesium. This method of surface treatment delivers real performance improvements without adding significant weight in the process. It results in the formation of a hard, inert, and electrochemically neutral ceramic surface layer that offers protection to the base alloy in terms of corrosion wear. The precision of the process allows bespoke solutions for different applications, by making close adjustments to a range of controllable parameters. Where one part of a component might need increased wear resistance, another could need improved thermal or aesthetic qualities. With PEO, all of this can be delivered in the same treatment process. The coating itself is derived from the original base metal, drastically reducing the weight added. Unlike PEO, many traditional coatings add bulk to the component, undermining the whole lightweighting effort. The coating formed in PEO is integral to the substrate, providing excellent adherence for final finish top coats that will not delaminate or peel away. With no need for primers, potential weight savings are significant. No environmentally hazardous substances, such as heavy metals, are required. Unlike traditional anodising, the PEO process uses high voltages and environmentally friendly electrolytes, usually consisting of low concentration phosphate, aluminate, or silicate containing solutions. No environmentally hazardous substances, such as heavy metals, are required. Recent improvements in PEO have only increased the potential of magnesium. While the benefits of magnesium’s light weight have long been clear, Magnesium Elektron has recently shown that corrosion-free magnesium alloys can meet tough flammability requirements. Their research has driven a change in AS8049 of the SAE Aerospace Safety standards that now allows magnesium components into commercial cabin interiors—but this is only half of the story. Across high performance industries such as the aerospace and defence sectors, there is a rising demand for advanced materials that are corrosion- and ignition-resistant. Coated magnesium alloys can now offer component designers high-temperature characteristics, pressure tightness, and the ability to produce complex shapes by casting, machining, extruding, or forging. These enable engines and power transmission systems to run safely at higher temperatures without gear misalignment or the need to seal the component against oil seepage. The recent change to AS8049 opens up a raft of potential opportunities for aircraft and component designers due to the large volumes and repeatability of components required. For example, using magnesium in aircraft seating could offer potential weight savings of nearly 20% per part, making a notable difference to an aircraft’s environmental impact as well as its running costs. Similarly, advances in PEO reduce the need for protective paintwork, which currently adds about one tonne to an aircraft. PEO-coated magnesium components could offer further significant weight reductions, as well as reduced maintenance requirements. It’s an exciting time for the industry. PEO is the fastest growing advanced surface technology for light alloys during the last decade and will play a key role in enabling light alloys such as magnesium, aluminium and titanium to be used in extremely demanding applications where were previously deemed to be inappropriate.